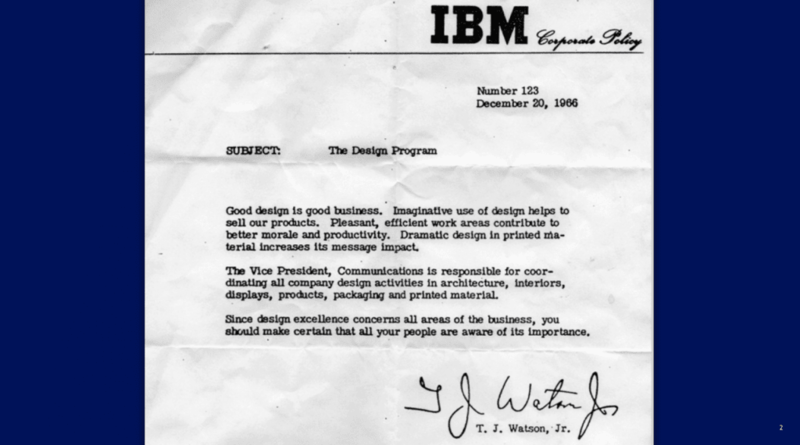 In 1966, IBM president T.J. Watson Jr. wrote in a letter to the company that “good design is good business.” Those words were true then and they couldn’t be truer today. When this was written, design often wasn’t a respected role inside organizations. We user experience (UX) professionals are lucky to have had influential designers and business leaders like Watson pave the way for us. Today, designers have a seat at the table and we don’t have to sell the value of user research and design thinking as much as we’ve had to in the past. As a hiring manager, I look for designers who have taken the time to hone their design skills (i.e., interaction design, visual communication, information architecture, user research), but also for those whose skills push past the boundaries of creative work and into the business world. I look for designers who can effectively communicate with cross-disciplinary teams and manage complex projects. Let me take a moment to dive into each of these business skills for UX leaders. While I was a consultant, I learned a valuable lesson about aligning design direction with business needs. During one of my first projects, I crafted a design direction for a product that was sleek, simplistic, and lined up with both the client’s existing design patterns and the current audience’s behavior. After sharing the solution with my client, I was surprised to receive lackluster reactions. What I didn’t realize at the time: the solution didn’t match the company’s new mission and target audience, which in hindsight I see would have changed the solution drastically. But because I didn’t bother to meet with the business partners upfront, I missed the mark. I learned that understanding the goals of not only the core stakeholders but of the impacted business partners as well is important for making sure your work doesn’t sit on the shelf. After all, we want our work to be seen and help others achieve their goals, right? What is the goal of the business? Your team? How have you tried to solve for these problems in the past? What has worked? What hasn’t? If you had a magic wand, what would the ideal experience achieve? Understanding the answers to these questions allows me to share the design solutions to each business partner in a meaningful way that illustrates how I’ve solved for both business and user needs. My advice: Connect with your business partners to understand their goals, KPIs, and how they view product success. Keep these goals front and center while you are crafting solutions so that when you’re communicating your work you’ll be able to create direct connections from the goals of the business and users to the solutions you’re working on. Building relationships and communicating well doesn’t start and stop with business partners. Relationships with your technology teams are almost more important for crafting designs that are achievable within the scope your leaders and stakeholders have defined for the project. A while back, I was working at a small tech organization where iOS apps were the main focus of my design work. I had worked on a few apps in the past, but we were moving very fast and I didn’t know as much as I should have. I knew I needed to build up my iOS knowledge fast, so I applied (and was luckily accepted) to a CodePath class for designers who want to learn how to build iOS apps using Swift. In a few weeks, I was able to not only build basic and complex apps, but I had learned a new vocabulary around mobile development. This new language allowed me to communicate more clearly with engineers and provide solutions that were standard for iOS apps while knowing when custom work was required. Communicating and discussing solutions with the team got a lot easier and became almost fluid between engineering, product management, and myself (the designer). My advice: Partner with a few front-end and back-end engineers who’ve had experience with the product you’re building. Ask them how the database works, what the constraints of the product are, and what legacy technology may have an impact on design direction. And take some time to learn their language by talking with them, reading a few books, or taking a class. Sometimes we are lucky enough to have a dedicated project manager (PM) who will support the implementation phase of product development, but rarely do we have someone to project-manage the other phases. Many times, the product manager or designer will fill this gap in resources. In my current role as a product design manager, I work with designers, PMs, and engineers to craft project plans that allow for the necessary time needed for the project’s scope and define the right problems to be solving based on business and user needs. This is my most time-consuming task, taking me away from other tasks, like providing feedback, building relationships outside of product development, and molding an open and safe culture for creativity. Without a doubt, having designers on my team who are able to take initiative to craft project plans with their product and engineering counterparts while managing their day-to-day work is one of the most valuable skills that the entire team could look for in a candidate. My advice: Work with your manager to see if this skill is as valuable to them as it is to me. If so, work together to find the right approach to project planning that will align with your design process. Then, plan. And make sure to include the right partners in the planning process; your manager will be able to tell you who those folks are if you’re unsure. As a final tip, it goes without saying that empathy is important to honing the above skills. Having empathy for users is the key to crafting great designs. Having empathy for those you work with is the key to building lasting relationships with your partners. I’m empowered by the foresight of T.J. Watson Jr. homing in on the influence of good design on business. Design does impact all aspects of business. And solid business skills affect the impact of design. As I grow as a leader in design, these skills only grow in breadth and become more important. What other business skills should be added to the list that designers should consider adding to their toolkit? Let me know. The UX Career Track is mentor-led course with guaranteed job placement. 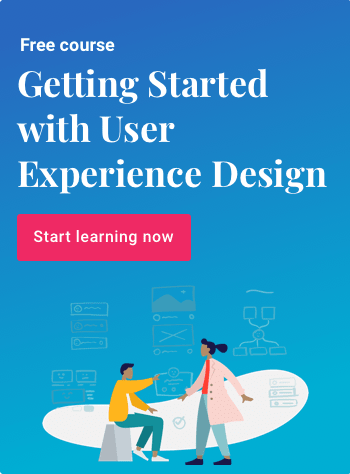 Find out more about how you can learn UX design from industry experts on your own terms. Kaycee is product design manager at WW (formerly Weight Watchers) and a former UX design mentor at Springboard.